Indian Officials Order End to Eviction of Tribal People from Tiger Reserves - Integration Through Media ....! 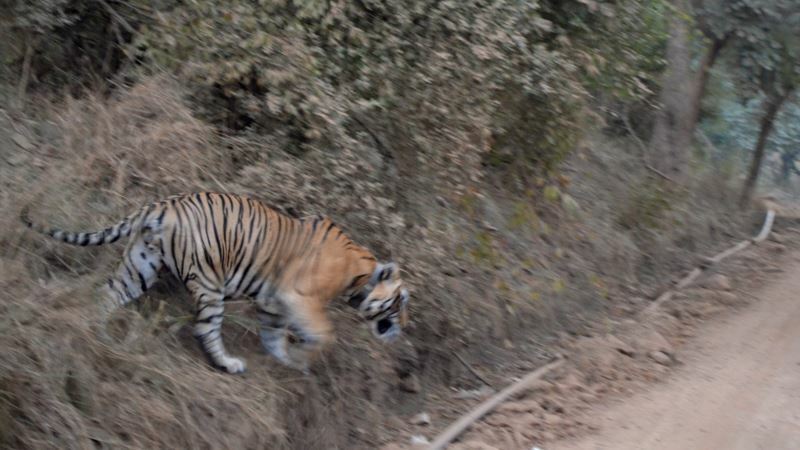 (VOA): An Indian government agency for indigenous people has asked the forest ministry to stop evicting tribal people from tiger reserves, highlighting the growing tensions over land use in the country. The environment ministry's National Tiger Conservation Authority (NTCA) issued a notice last year asking 17 Indian states to suspend the granting of rights to tribal and other forest dwellers in all critical tiger habitats. Yet, NTCA officials denied that their policy hurts tribal forest dwellers. “It is a wrong notion that tribals are being evicted,” said Debabrata Swain, an additional director general at the NTCA, said Tuesday. “It is entirely voluntary: We ask them if they would like to move from core tiger habitats and protected areas. If they agree to the rehabilitation terms, then they move,” he told Reuters. The NTCA is studying NCST's order, which it received Monday, and will respond in time, Swain said over the phone. India's Forest Rights Act gives indigenous people and forest dwellers the right to harvest and use forest resources to maintain their traditional livelihoods. More than a fifth of India's 1.2 billion population was expected to benefit from the 2006 law covering vast areas of forest land roughly the size of Germany. But implementation has been slow and conflicts between states and indigenous people have risen as more land is sought for industrial projects in one of the world's fastest-growing economies. Last November, advocacy group Survival International asked tourists to boycott India's tiger reserves until the rights of indigenous people in them are upheld. Officials must ensure their forest rights are settled, and offer more compensation, said Rahul Choudhary, co-founder of nonprofit Legal Initiative for Forest and Environment.